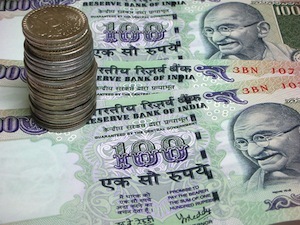 Why are Regulations Concerning Taking Money out of India Something I need to be Concerned About? Download June 3rd 2014 RBI Announcement Raising FDI Limit to USD 125,000. Whether as a “passive” EB5 investor, an EB5 “direct investor” in your own business or an L1A Indian business owner you will need access to substantial capital in order to make an investment in the United States and receive a visa. The pertinent Indian Government regulations that control your ability to take money out of India and make on Overseas Direct Investment (“ODI”) are important to understand and can impact your your case. Is it True that the Latest RBI Regulations Effectively Make EB5 and L Visa Investment Impossible? No. While the latest RBI regulations do not make investment in the United States impossible, making an investment does require experienced advice. Our firm represents many investors who have successfully and lawfully planned to transfer substantial capital to the United States. This does, however, need careful planning. Does the US Government Care How I get My Money Out of India? While the US Government’s primary concern is to ensure that funds were legally earned prior to their investment in the United States, some officials have begun to show interest in the lawful transfer of investment funds under applicable foreign law. 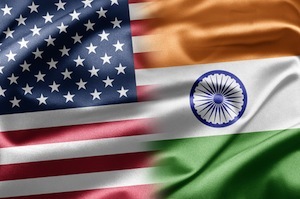 A successful approach therefore involves a dual understanding of both the Indian and the US regulations and how to properly present and document transfers to the US government. US visa officials will also expect us to thoroughly document where your investment funds ultimately came from. Having worked on many successful Indian cases we realize that it is not always possible to fully document the ultimate source of all “white” money in India. Many Indian cases, for example, involve the sale for family land held for generations where documentation of the acquisition of the land no longer exists. We are experienced in how to properly present this to the US Government. 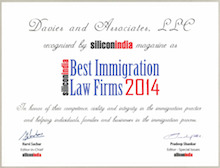 How can Davies & Associates Assist me Navigate the Indian ODI regulations? US law requires a minimum investment of either USD 500,000.00 or USD 1,000,000.00 in order to obtain an EB5 visa. As a practical matter we suggest Indian clients making a “direct” investment not utilizing a Regional Center consider evidencing a slightly higher investment. Whether a USD 500,000.00 or USD 1,000,000.00 investment is required is determined according to whether the business is located in a “Target Employment Area” or “Rural Area” (collectively a “TEA”). If the business is located in a TEA then the required investment of USD 1,000.000 is reduced to USD 500,000.00. Many, but not all, Regional Center projects are located in TEAs and therefore require an investment of USD 500,000, as opposed to USD 1,000,000.00. 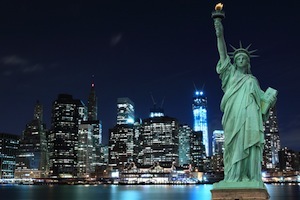 While there is no minimum investment required by law for an L1 visa you need to make sufficient investment to evidence that you have a real and viable business in the United States and that you can function as an “executive” or “manager”, or in the case of a “new office” that you can within a year. Regardless of how many employees your US business employs you are going to need to prove that you are not the person carrying out lower-level “day-to-day” tasks. Our firm usually evidences that the investment in an L visa company is sufficient for these purposes through the use of a business plan. While as of the date of the writing of this update in August 2013 our firm has yet to have an Indian L visa application denied or issued with an RFE there is an increasing trend for the US Government to scrutinize Indian L visa applications very closely. Evidencing sufficient and meaningful investment through a well-written business plan is, therefore, in our opinion critical. How Can Davies & Associates Help Me Evidence my Investment is Sufficient? While you are free to develop you own plan our firm has a specialist business plan team whose sole function is to write business plans in L, E and EB5 cases. This approach teams experienced business analysts with our immigration lawyers. We have found this approach critical to success in multiple cases.